If you could look like any celebrity, who would it be? You can pretend that you don’t have a celebrity in mind, but we all have that one celebrity that we aspire to look more like. I don’t mean that you want to go and get cosmetic surgery to change your lips to match theirs. What I meant was that we all have that one celebrity whose body we idolise and wish that our body could look more like. You might think that there is no way that you will ever be able to transform your body to look as good as a celeb’s, but you can. Yes, it will take hard work and lots of time and effort, but it is doable. A big mistake that many of us make when trying to lose weight or get in shape is cutting too many calories. Yes, we need to eat healthily and not eat too much, but cutting too many calories will only make achieving your goal harder. 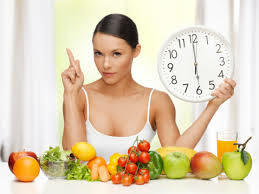 You see, when you reduce your calories down too low, your metabolism slows down, meaning that your body burns less fat. To get that celebrity body, switch to eating healthy, whole foods, but don’t reduce the amount of calories you eat by too much. One of the main problems that many people, including celebrities, deal with is eating too fast. The faster you eat, the more food you consume. You see, it takes your body a while to register that it is full, which is why eating slowly, is important. By taking a mouthful of food and then resting for a few seconds, you give your body time to workout when it is full. Far too many of us overeat, and all because we eat too quickly. When it comes to eating healthily and exercising, one of the worst things you can do is lack motivation. Far too often, a lack of motivation leads to you giving up and binging on your fave foods, putting you back to square one again. If you struggle with motivation, spend some time working on your mindset. The key to motivation is your mindset, if your mind is focused, you will find it easier to stay motivated. If you struggle to stay on track with your exercise regimes, it might be a good idea to get some help. Personal trainers are the best option when it comes to getting help with your exercise regime. Not only will they keep you on track with your exercise, but they will also help to motivate you. Don’t make the mistake of thinking that hiring a personal trainer is expensive, it doesn’t have to be. There are various personal trainers to choose from, each charging different prices. With a bit of research, you should be able to find an affordable trainer in your area. By following the simple tips in this guide, you can get your body toned and trim in no time. Within a matter of weeks, you could be looking just as good as your favorite celebrity.